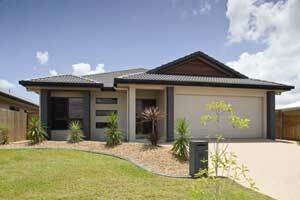 Australia’s new property owners have opted to acquire homes with fixed interest rates for an average of three years. This was according to a study made by Mortgage Choice, Australia’s largest independently-operated mortgage broker with an estimated $42 billion in booked loans in the last 19 years of operation. Mortgage Choice said in a released statement that for six consecutive months, new borrowers with acquired fixed rate home loans rose 22%. “Borrowers are taking advantage of the good fixed rate loan offers available. By securing their interest rate they are also locking in peace of mind over the next few years following speculation last month of fewer rate cuts to come this year, and the latest CPI data hinting at less rate activity, it comes as a no surprise,” notes Ms Belinda Williamson, company spokesperson. Despite the increased demand for fixed rate loans, lenders are still discounting their rates to attract new customers. Over the past week, Mortgage Choice saw seven lenders on its lender panel drop their fixed rate loans across a range of fixed rate terms. Further analysis shows that by far the most popular fixed rate loan term is three years, at 74% of new loans taken out in October. This is followed by two-year fixed rate term loans at 16% of new loans, and five and one year-fixed rate terms at 5% of approved loans, respectively. October also saw a considerable uplift in the preference for ongoing discount rates loans, reaching 40% of all new loans approved. This follows two consecutive monthly drops in demand in August and September. "There was a downward trend on the popularity of discount rates loans - where the loan is discounted over the entire loan term - in the months before October, as economists were predicting a number of rate cuts by the Reserve Bank before the end of the year," adds Ms Williamson. This month appears to buck this trend as an increase in ongoing discount rate loan appeal. As talks of further rate cuts dries up, this increase shows more borrowers are now shopping around for long-term bargains.